Handmade in our Lily Lane studio with quality fabrics from our shop. 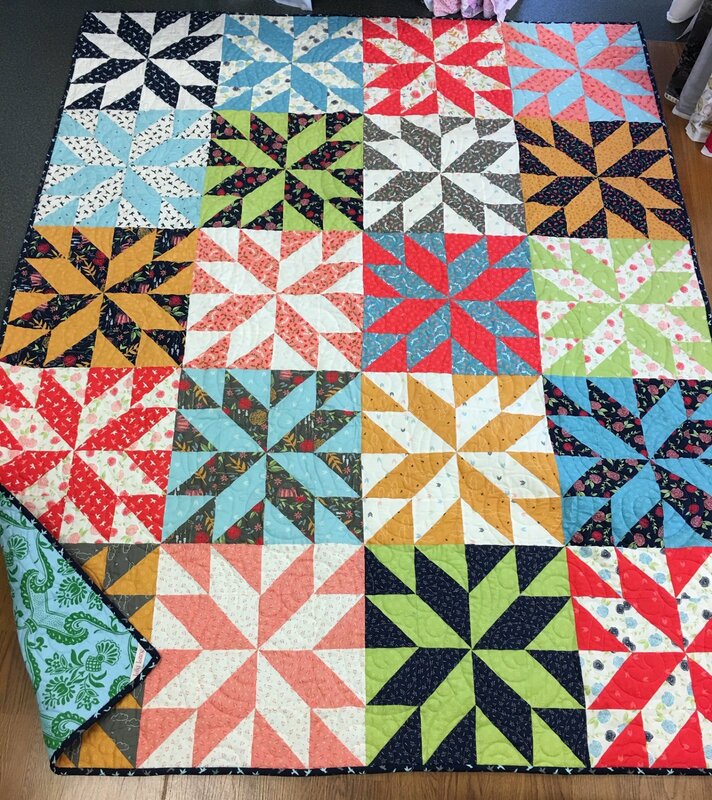 65 INCHES X 81 INCHES quilt Is ideal queen topper or throw. Professionally machine quilted with machine washable wadding inside.